The seafront towns, vineyards, and beautiful beaches around Margaret River lie just south of Perth. 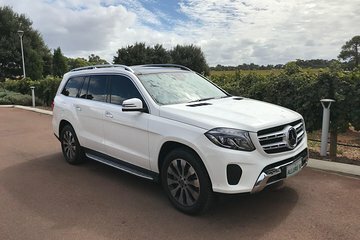 On this tour, travel in the comfort of a luxury Mercedes with space for just six people and enjoy a flexible itinerary with plenty of stops along the way. Visit Busselton and take a walk along the famous Busselton Jetty, discover the natural wonders of Ngilgi Caves and Geographe Bay, and enjoy lunch and wine tasting in the Margaret River wine region (own expense). Tour ends at original pick up point unless otherwise requested at the time of booking.